He is in fact developing a Star Wars project for Lucasfilm that is set within the series’ galaxy, though parallel to the next trilogy. It will be an as-yet-untitled Jedi epic loosely based on Akira Kurosawa’s 1954 classic Seven Samurai, with the ronin and katana being replaced by the Force-wielding knights and their iconic lightsabers. It’s not clear just where Snyder’s untitled Jedi film would fall within the Star Wars chronology, but one insider expects it will not be considered part of the “numbered” episodes, but rather a stand-alone film set sometime post–Episode VI events, meaning the next phase of the franchise development is much broader than previously thought. 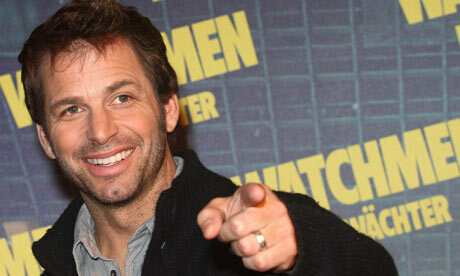 Snyder has directed several films, such as Watchmen, 300, Suckerpunch, and the upcoming Man of Steel film, most which have received fairly poor reviews overall. Although Snyder has made a fairly poor name for himself among the film industry, he has certainly made a prominent name for himself in the visual department. Say what you will about Sucker Punch, but that movie was one of the most creative and beautiful films visually. Story-wise, not so much. Coming from someone who did not even want Episode VII to happen in the first place, or the rumored Boba Fett film that "Captain America" Director, Joe Johnston, wanted to do, I am very nervous. I personally enjoy Snyder's big name films, but to see ANYONE taking over Star Wars like this is both nerve-wracking and depressing. At the very least, if this rumor turns out to be true, we can expect this film to look incredible from an effects standpoint. I love Star Wars. I truly do. I love the films, and I watch the Clone Wars TV series on a weekly basis. But why can't we just leave it at Episodes 1-6 and call it a day? Edit: Remember when I said that this was just a rumor? Several hours after this hit the web, Snyder's rep stated that none of the rumor was true. Although Snyder would love to work on a Star Wars film, he has no plans on working on one in the near future.